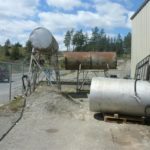 Project description: Ballast Environmental was retained by our client to review existing environmental reports for six properties being considered for purchase. Upon review of existing environmental reports, outstanding areas of potential environmental concern were identified. 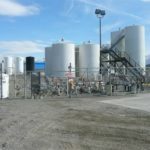 Through collaboration, it was decided to move ahead with 4 of those sites and Ballast Environmental developed work plans to address outstanding concerns on 4 of the bulk fueling stations. 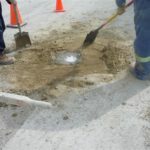 Stage 2 Preliminary Site Investigations (similar to Phase II ESAs) were completed to characterize soil and groundwater conditions at the subject sites and delineate previously identified impacts. Upon competition of our Stage 2 PSI, the client used the reports in negotiating the real estate sale. cost estimates for remediation to be used in the purchase price negotiations.